Easter points us to our daily lives: Coming to work Monday morning after Easter can be a bit like coming home from summer camp. It is an admixture of both afterglow and let down. There is so much enthusiasm over the weekend it can send us off to work feeling invigorated or bummed about the mundane tasks that face us. Either way, Easter is very much about directing us toward, not pulling us from, the lives we are called to live. God is still God, and the resurrection still the resurrection even during my 3pm afternoon sleepy time at work. Easter points us forward to our calling. Easter is, in fact, a dare: The resurrection, as I had tried to observe before, is not vindication for Christians in the sense it means we can go around saying “neener neener.” If anything, it is a dare. It is a dare to believe we can take great risk of love, even with people who are very different from us. We can even love people we might be afraid of, as Jesus did in Jerusalem and when confronted by soldiers in the garden. It is ours to love, even at great cost. It is up to God, not us, to judge our lives. Easter confronts our inevitable death head on: I know on face value Christians don’t leave Easter actually thinking that death will not one day confront us, but it does seem sometimes to make us look the other way. We focus so much on how God has conquered death that we look away and pretend it is not there. On the contrary, the hope of Easter means we have the strength to look seriously at our own death, squarely in the eye. “Always keep your death before you,” writes Saint Benedict. This is not to be grim, but to acknowledge our mortality and what we plan to do with our lives while we have them. Easter means we can take seriously the fact that our days are numbered. It compels us to the urgency of love in the short time we have on the planet. We can take the risks to make life better: Everything will not be ok right away. Everything is not ok right now. The world is full of profound hunger and starvation. The is a great deal of suffering in some of our own lives and in our neighbors’. The resurrection doesn’t mean we will always be happy, or that we should rest on our laurels. It means we can face what is rough and not recoil because, again, God will have the final say, and God will be with us in the meantime. God raised Jesus from the dead: This is key. It is the only point I am making. Jesus is not a superhero who took a nap till his spiritual alarm clock went off. Jesus died without holding the power over his own death. “Into your hands,” he says, “I commit my spirit.” This is the lesson. Jesus didn’t raise himself. God raised Jesus from the dead. Now I recognize there is some complex trinitarian theology in here. So be it. We should check into that. The take away is that Easter is about trust. It is trust that God has the final say on our lives. What this leaves with us, far more than comfort, is courage. It is courage to love and to confront things or systems that stand in the way of love. It means that risking our lives to emulate Christ is not a bad gamble. Thanks for sharing, Doug. These are true points, and we need to remember them. May Christ be with you as you grieve your loss. Thanks for your post. I’m so sorry about your friend. It is a mixture of sorrow and great joy to reflect on her life. This is one of the hardest lesons of life to live. I tis one I think is very contrary to contemporary Christian representation. All the more reason to struggle to learn it. Thanks Melissa. You always help me see more deeply. Thanks for putting pen to paper (or more likely fingers to keyboard 🙂 on these thoughts. I found them to be thought-provoking and comforting. It calmed some of my fears to commit them to God. And to commit myself to Him. It’s a shame that I should stumble across this website in the midst of grief.. but isn’t that the way of God? New life springing from the ashes of death… I welcome the idea of perusing this site regularly. Thank you for your timely arrival in my tiny world! Wel, Eric, This is a place unashamed of grief. It happens to be a ongoing part of life. So please hang around and share your stories and experiences. Everyone’s story is, to some degree the story of us all. So well said, Doug. I too had to face death on Easter. 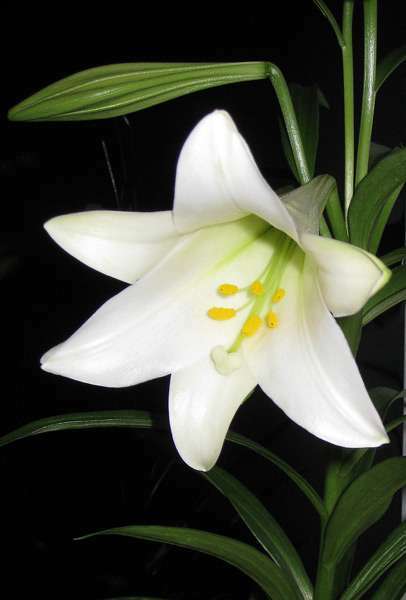 A dear parisioner, who always sat on the front row and always had a smile, died on Easter day. After celebrating the resurrection so joyfully, I went to the hosital to say goodbye to Miss Vivian. As I held her hand and prayed for her, beneath the sadness I felt at losing her in this life, I could feel the peace and joy of the resurrection underneath the tears. It is, as you say, that God has the final say, that gives us that underlying, that support of peace and joy that gets us through the tough times. Bitterly beautiful. But a story entirely true to your character. Whoa! I was directed here from facebook and we’re so inspired that we’re using this post as our preaching theme up until Pentecost. Thanks! Really love what you have articulated here. I am thrilled to be of service to your congregation and would love to hear how it goes.